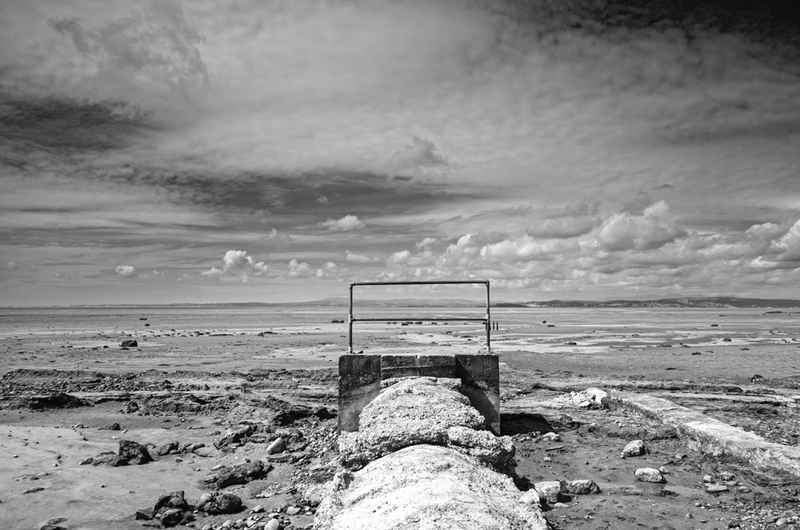 View across the bay from an old outlet pipe I found. 9.5 miles in the distance is our destination some 3.5 hours later. The Bay has seen more than its fair share of accidents and deaths. The flats are littered with very deep quicksand and if the tide turns on you, you won’t outrun it even if you can avoid the quicksand. So why would I go to such a place? 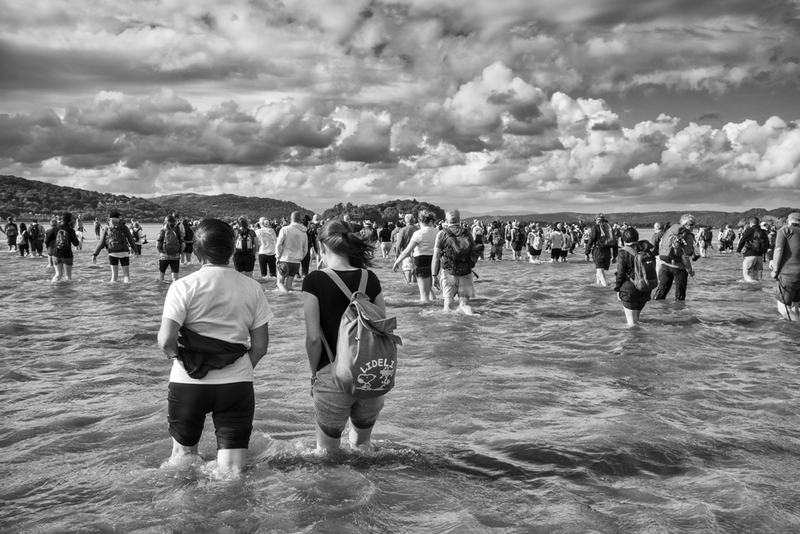 To walk across the bay with around 300 other fools. There are and have been for many years regular guided walks across the bay which is around 9.5 miles. It’s not something that was high on my agenda (I like mountains not the flat) but as my wife wanted to do the crossing I tagged along with the Sony RX100 in my pocket. Actually it was around my neck as there was quite a lot of wading through water that was waist deep. Wading across some areas of the bay. Whilst I didn’t get a wide variety of shots the weather was great and the bay was strangely beautiful once you got away from the shore. 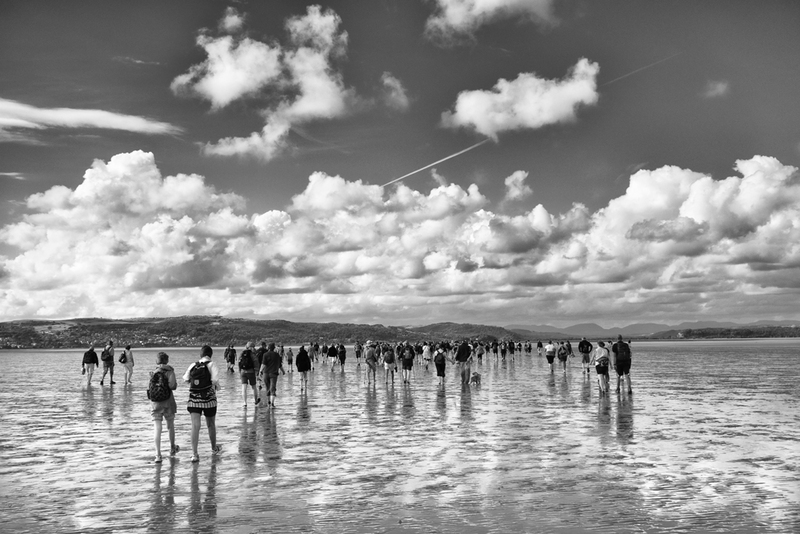 Lovely images of the trek across Morecambe Bay. I particulaly like the last two. When enlarged they look superb. Fantastic sky.